This modern, artistic designed door, meets all your requirements. The technical specifications are of the highest standard on the market !!! Depth: 85 mm Frame, 75 mm Sash, 62 mm both sided Aluminum panel, Ud up to 0.8 W/m2K. WeltHaus door WH75 system, our models are specially designed to give personality to your home. Frame and sash, full Aluminum structure outside, powder coated painted, in the desired RAL color. Aluminum white panel inside, framed in a PVC structure. one of the newest automatic multi-point hardware in the world, with several innovations, Winkhaus - AV3. WH 75 are our standard doors made from a combination of aluminum and PVC with a total depth of 101 mm. WH 75 TH+ has an extra thermal insulation and it is made from a combination of aluminum and PVC with a total depth of 103 mm. is made out of a PVC base, covered with aluminum cladding powder coated painted in the desired color. 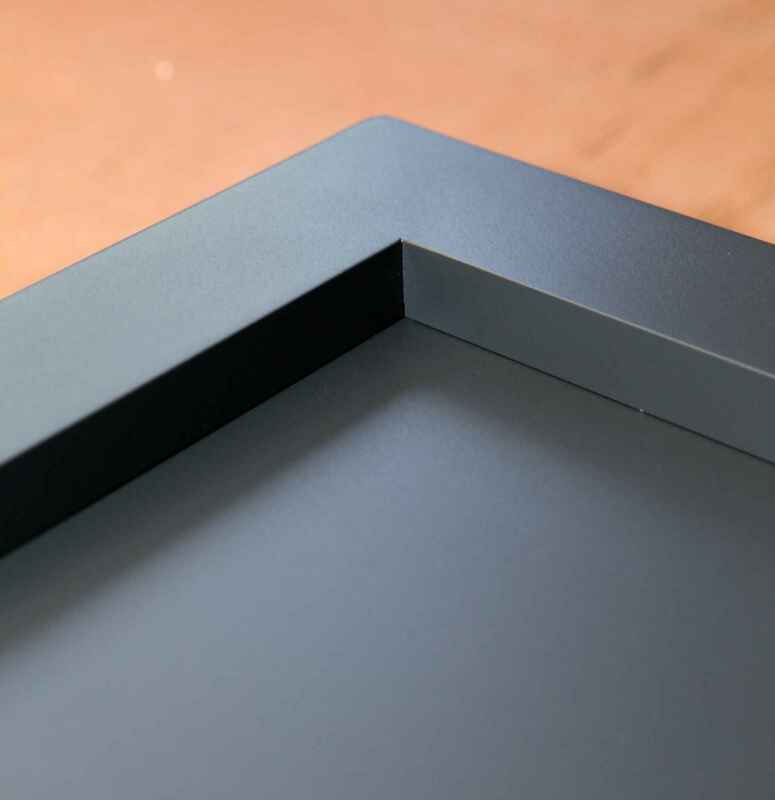 This aluminum cladding has perfectly welded corners, giving the door an excellent look. Optically perfect. One demand, we can offer additional profiles: 20mm, 30mm, 50mm, 150mm, or combinations where is (extra charge). the decorations are made of satin finished stainless steel. Lead time: After receipt of technical clarification and payment: 15-25 working days. 1. Security doors meet the highest standards in the area, thanks to the hardware used. 2. High thermal insulation. Tests prove superior wind and water tightness. 3. Design. Attention to all decorative elements: plates, door handles, glass, decorative items, etc. makes out the WELTHAUS doors a perfect choise for your house.